As part of my action plan, I always let the people who care about me know that I am seeing red flags and am concerned that I am getting manic. This way they can be on the lookout and know that I know that I am in trouble. Letting others know is important, but that is not the reason I am writing this blog. It is more of a warning to myself. These are things I need to remember when I am hypomanic in order not to do things I will regret later and to stay on track so as not to get into a full blown manic episode. Here is a list of things I try to do when I know I am in the danger zone. Get enough sleep. I tend to have a lot of energy and sleep does not seem to be needed as much, but it is important to keep a regular sleep schedule as much as I can. I try to start unwinding around 10 and try to be in bed by 11. I don’t always go to sleep, but I need to at least rest my eyes and brain. I will make myself lay there for at least two hours. If I can’t get to sleep, I take a medicine that helps me sleep. Oftentimes, I don’t sleep very long, but that is to be expected and I have learned to not panic. As long as I go to sleep, get at least 3-6 hours of sleep and am functional the next day without doing manic-like things, I settle for that. When I do wake up, I try and stay in bed and read or watch tv or do something that does not stimulate my brain. When that does not work, and it often does not, I get up and start my day. I take advantage of all the excess energy that comes along with the mania. Eating right is important. It is easy to forget to eat when I am manic. Since I am overweight, it is tempting to not eat as I just don’t feel hungry. However, this is dangerous. Making sure you eat several small meals a day is important. Eat healthy as since you don’t have much of an appetite, that will help me lose weight in itself. It helps to prepare meals ahead of time as then when you get busy doing all the things you manage to fit into a day, you can just grab and go. Exercising is so important as it helps to burn off all the excess energy you have. It also helps to focus your mind on things rather than letting it wander. It is easy to get side tracked when you are manic so if you exercise and make yourself do it for at least 30 minutes it is a time that you can reflect on things you need to do and prioritize. Exercise is good for anybody at anytime, but when you are manic, it is really important as it grounds you. Pacing yourself is important. Setting goals for the day and week by making lists helps with this. Since oftentimes I am coming out of a deep depression and have not done much in months, it is easy to just go all out and get as much as I can do before I get depressed again. This, I have learned, is the wrong way to do it. Finish one project before going onto the next. Think positive. This too shall pass. Yes-there are benefits to being manic, but for me it usually ends up badly if I don’t take care of myself. I have learned over the years to do everything I can to stay out of a manic episode. I, unlike many people with bipolar disorder, and it sounds strange, but I would rather be depressed (and I get severely depressed), than manic. This is because I tend to do a lot of things that I regret when I am manic. Remember I am not perfect. I will make mistakes and screw up. I will do things that I regret later. I will say things to my loved ones that I wish I could take back. I will most likely lose friendships. However, if I do the best I can do when faced with mania, that is all I can do. Journaling might help as it focuses your brain on what your goals are and prioritizes what you should do rather than start a lot of projects all at once. It also can be relaxing and this helps when you are lying in bed and can’t sleep. Do things that help you relax. Walking, taking a bath, listening to soft music, going out with friends, getting fresh air, or whatever else makes you chill out and enjoy the day. This can really be hard when manic, but it is probably one of the most important. Take it one day at a time. Things will get better. Make an appointment to see your doctor or therapist as they may have ideas of what you can do differently. Take your meds regularly. They may need to be adjusted, but only do so after talking to your psychiatrist. Take steps that prevent you from spending money. Some people do drastic things like handing over their credit cards to a loved one for safe keeping. If you really want to buy something, put it off if you can until you know that you have come down from your manic high. Drive safely. If you don’t think you should be behind a wheel, then don’t. Arrange for a friend or loved one to get you places. If you can’t, then it won’t kill you to stay home. It is better than the alternative of hurting yourself or someone else. If you do decide to drive, be very careful and obey the speed limits and take extra precaution. While manic, you will take risks you normally wouldn’t take so keep that in mind. All of these things have helped me over the years. They are not full proof, but hopefully gave you some good ideas. I would love to hear from you if you have some other ideas, contact me on my Facebook page, Bipolar Bandit. 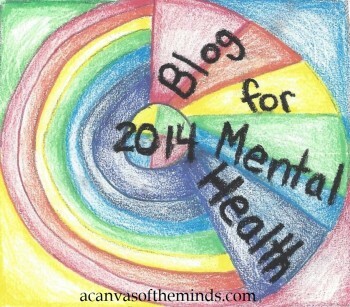 This entry was posted in bipolar disorder, mental health awareness, Uncategorized and tagged coping mechanisms when bipolar disorder, how to take care of yourself when you are manic, hypomania, journaling, mania, manic symptoms, sleeping, walking, what to do if you are manic. Bookmark the permalink. Thanks Michelle, this is an excellent list. I do all of them when I can, and if I can remember. That old bipolar memory plays havoc with my coping techniques however.Just wanted to confirm that after years of living with this, and years of trying to do many of the things that you have suggested, I can testify that they really do work! It is worth it to try to do these things.The alternative is not pretty! Thanks for taking the time to share this with me and your encouraging words. I am glad that it helped and you can relate. The important thing to remember for me is to remember to implement all these great ideas.